Most of you should remember both Glitterberri and our coverage of her translation of The Hyrule Fantasy manga. 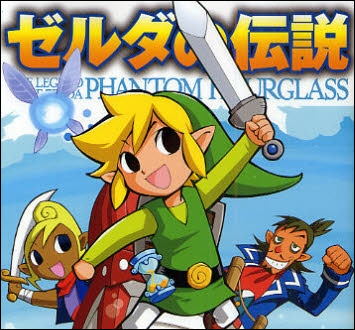 Because she’s so 3008 and y’all are so 2000 and late, she’s decided to pause work on that translation and instead start work on Akira Himekawa’s Phantom Hourglass adaption. I mean, does anyone really care about some old, dusty Legend of Zelda manga in 2009? And I don’t care what you have to say, dude reading ZI through his Wayfarers—retro is not cool, nor will it ever be. We’re kind of late to the party; she’s already on chapter six, which depicts Link’s adventures on the Isle of Gust. Below you can find two .zip files of everything she’s translated so far—the first link contains chapters 1 through 3, and the second has 4 through 6. Check the rest of her equally impressive work on her blog.